When the weather outside is cold and windy, there’s nothing as enjoyable as a nice warm furnace inside your home. After all, it’s much more reliable than a baseboard heater or other form of electric heat, right? If you lose power in a storm, those electric types of heat will falter and leave you with a cold house. Your natural gas furnace would never do that, right? Unfortunately, that’s not entirely true. If you’ve ever asked yourself if a gas furnace works during a power outage, the answer is that it is just as susceptible to power outages as electric heaters. While it might seem counterintuitive and confusing, your gas furnace still depends on electricity to power itself and heat your home. If the power is out, the odds are good your furnace will be out as well. There are plenty of reasons why your furnace works the way it does and how you can interpret what’s going on in your current situation. There are also many options you can try if it seems like the power has returned, but your furnace hasn’t. 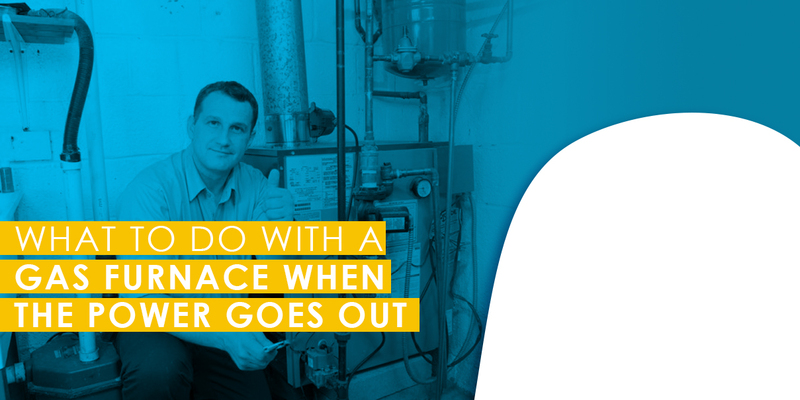 If you’re experiencing a gas furnace with no power and wondering what to do when the power’s out, we’ve compiled this quick and easy guide just for you. You expect your heating system to provide you with heat. Just like a car or any other machine that uses engines to run, a heating system can overheat or suffer serious malfunctions that will eventually lead to a breakdown. We’ll look at some of the causes of heating system issues and what can be done to prevent it and repair the problems that it causes. A furnace that overheats during the winter can turn into a very uncomfortable situation for you and your family, so call OASIS Heating, Air Conditioning & Refrigeration, Inc. when you need fast and effective heating repair in northern Virginia. 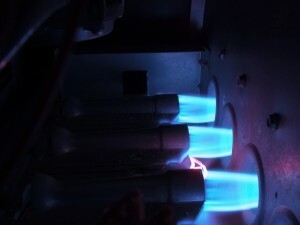 What Is Gas Furnace Short-Cycling and Why Does It Happen? We hope you’ve been enjoying a pleasant winter here in Northern Virginia. The weather is mild right now—but that still means it’s cold enough outside that you’ll need a home heater for comfort, especially in the evenings. If your home is like the majority in the area, it uses a gas furnace for a heating system. One of the more common troubles that a gas furnace might run into during the winter is something called short-cycling. Because our technicians often fix this problem, we’d like to share some information about it: what it is, and why it might happen with your gas furnace. If you have a short-cycling heating system and need furnace repair in Springfield, VA or the surrounding areas, we have the 24/7 emergency service to fix it. Posted in Heating | Comments Off on What Is Gas Furnace Short-Cycling and Why Does It Happen? Is this your first winter using a heat pump for comfort? Whether it’s because you had the system installed in the spring to prep for summer, or you’ve moved into a house that already has a heat pump, you’ll probably run into some unusual behavior from it during the winter. Most of the time, there’s nothing wrong with the heat pump—it’s simply that you’re unaccustomed to seeing the way this type of comfort system works in cold weather. Here are two specific heat pump winter issues that seem like repair problems… but aren’t. Not every house has a connection to a natural gas line, and some homeowners prefer the safety of only relying on electricity to power appliances. For these homes, an electric furnace is always a good alternative source for warmth. Along with their flexibility, electric furnaces tend to have longer service lives than gas furnaces and they cost less upfront to install. No furnace can be 100% free of problems, however. In this post, we’re going to look at what you can do if your electric furnace begins to lose its heating ability—or it stops heating altogether. Posted in Water Heater | Comments Off on Tankless Water Heater Not Working Right? We Can Help! Posted in Water Heater | Comments Off on Why Is My Water Heater Leaking? Fall is when homeowners should evaluate their heating systems and see if they’ll make it through another winter. Last week we wrote about this topic, asking if it’s time to replace an old furnace. But not every home uses a furnace for comfort; many opt for a heat pump instead, which not only takes care of winter comfort, but also summer comfort. We’ll take a look at deciding if the heat pump in your house is ready to retire and be replaced with a new unit. Posted in General | Comments Off on Is It Time to Retire Your Old Heat Pump? The end of summer is a period when you’ll still be running your air conditioner steadily but also have to deal with the immense amount of strain from the many months it’s been working. This is when you’re most likely to encounter AC malfunctions. The component in your air conditioner that has the highest chance of needing repair work is the compressor, which is at the core of the AC’s operation. Without the compressor, you don’t have a working air conditioner—period.